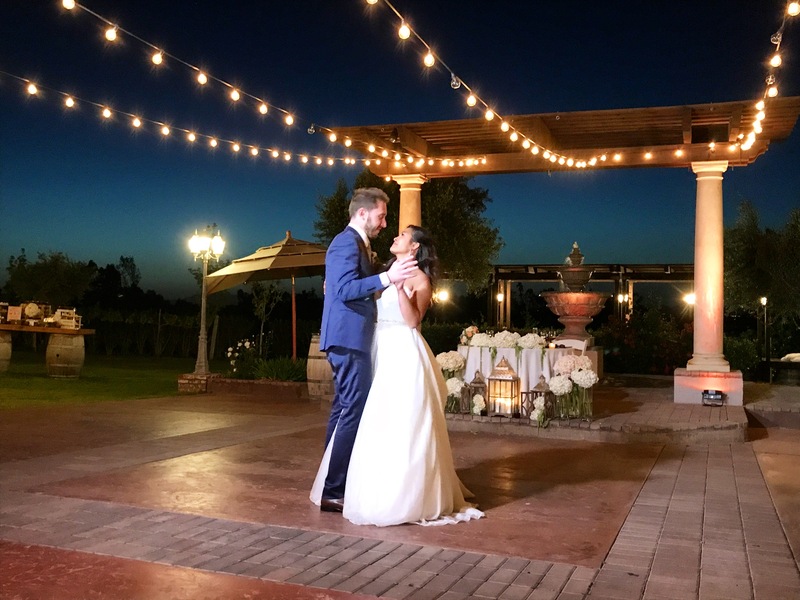 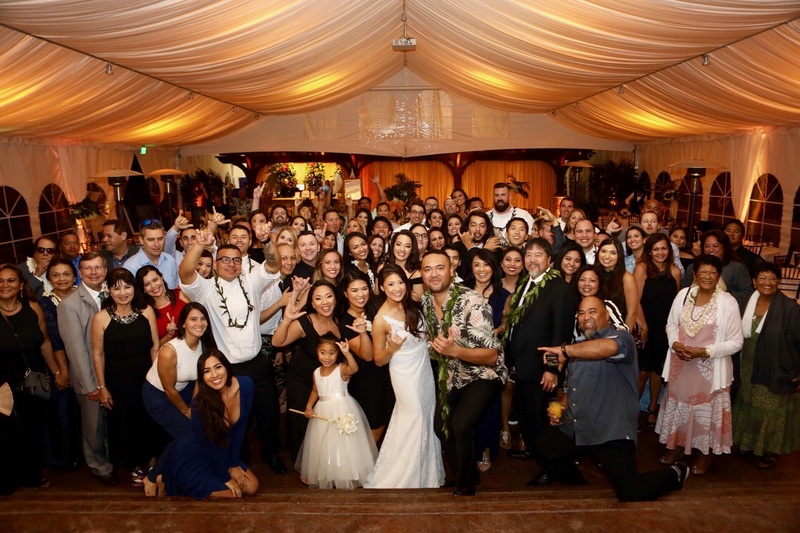 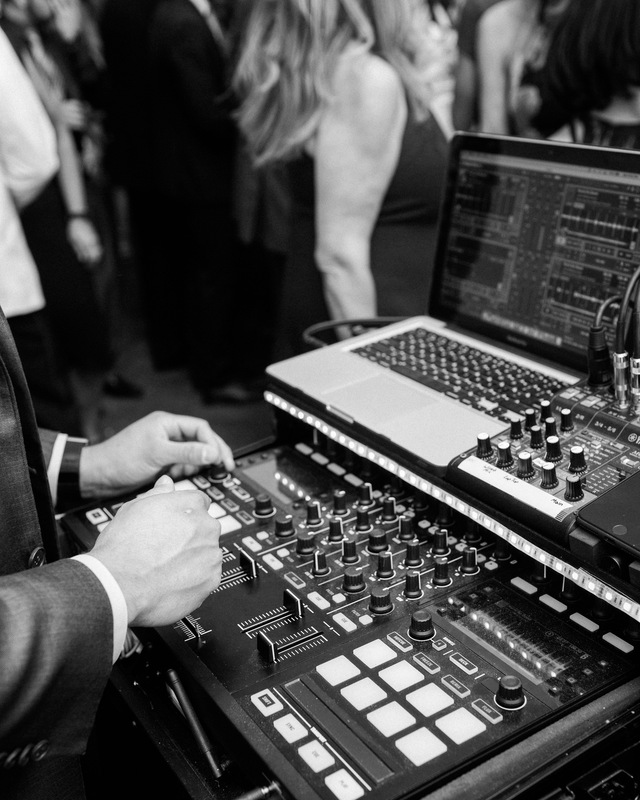 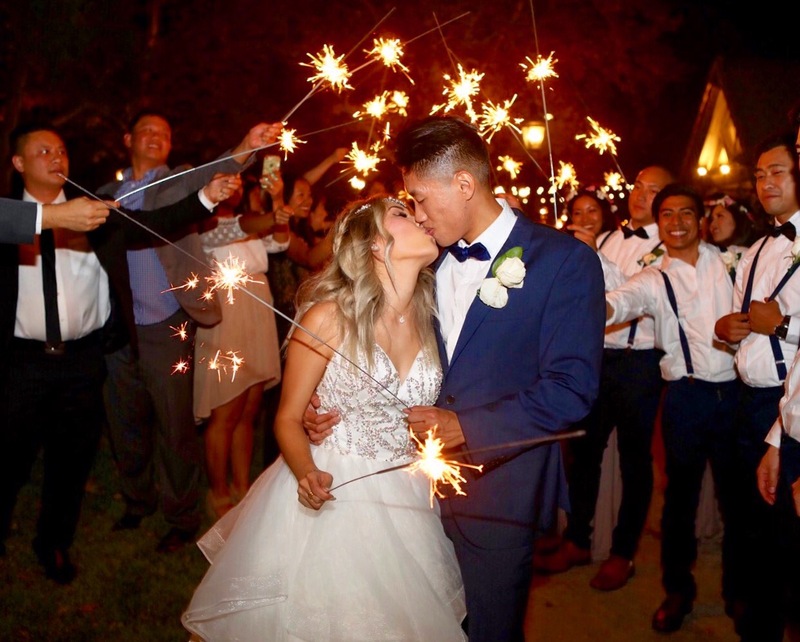 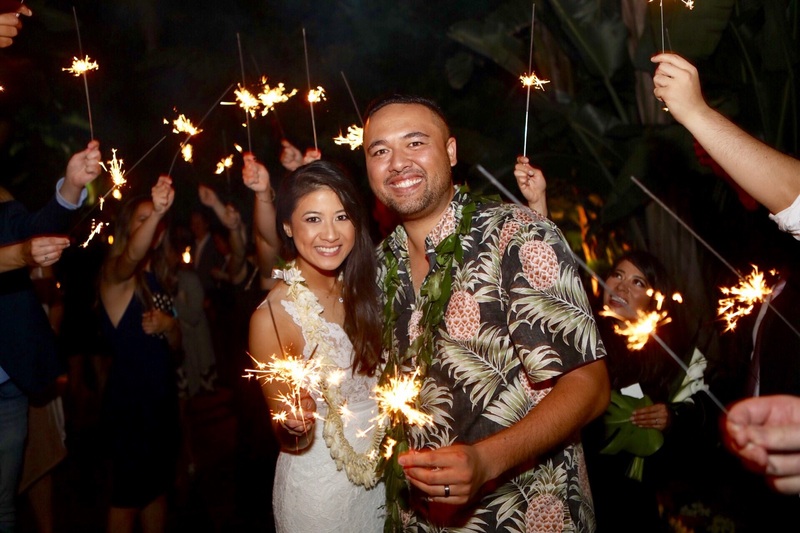 What a beautiful wedding for Michelle and Will at Pelican Hill Resort over the Labor Day weekend! 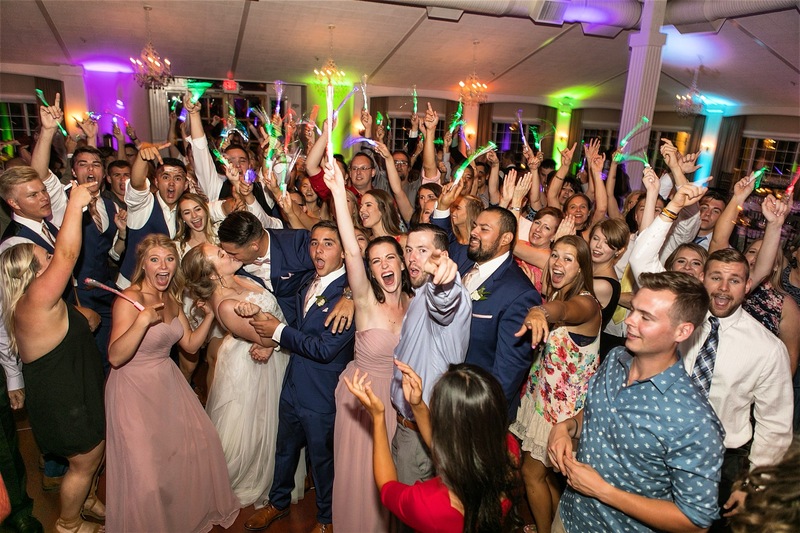 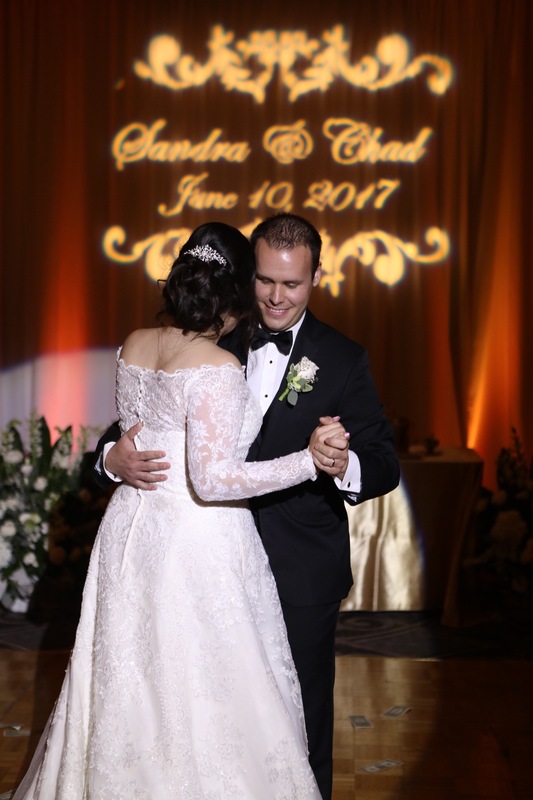 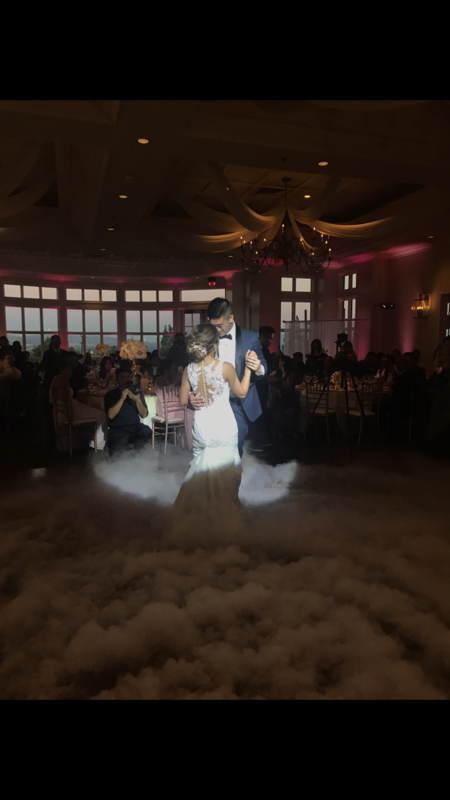 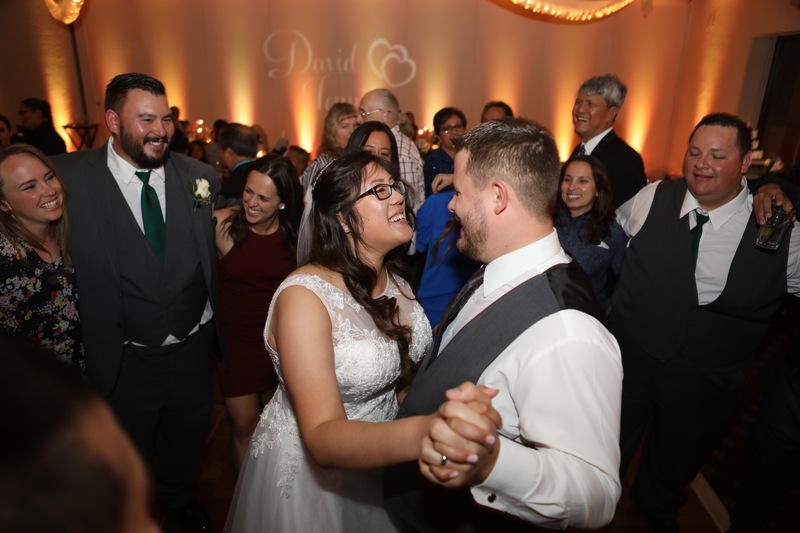 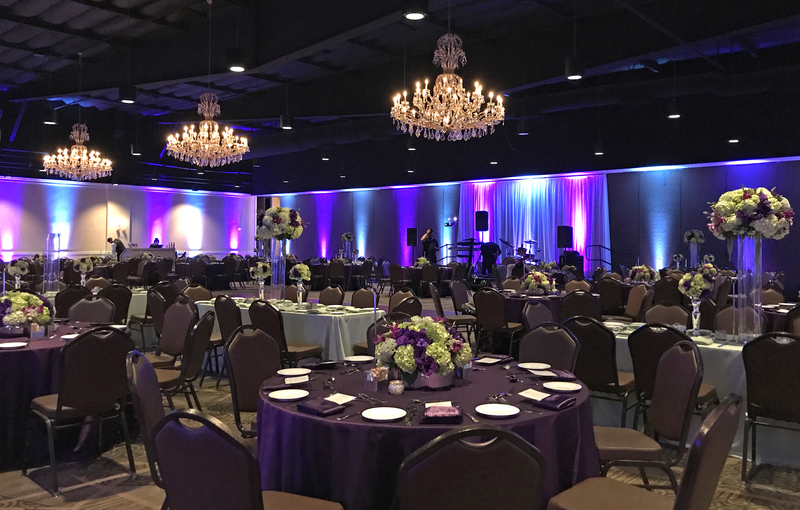 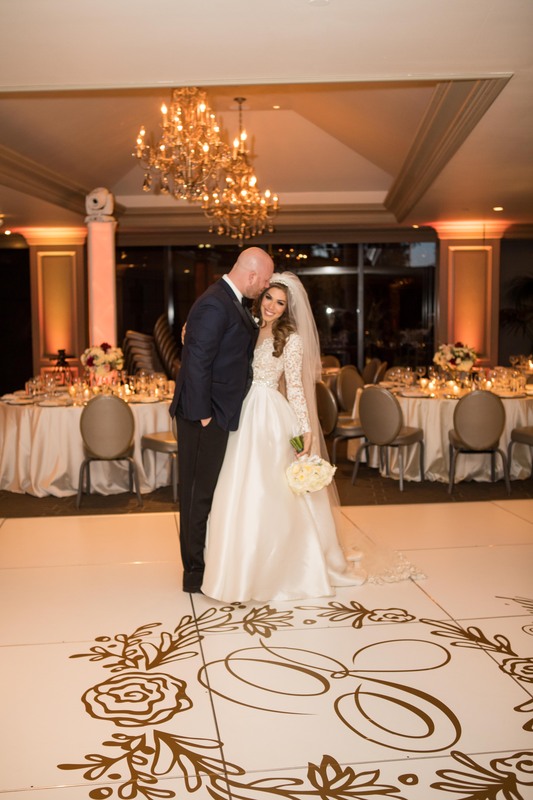 We provided the lighting, the drape with twinkle lights, white chiavari chairs and a white seamless dance floor and stage. 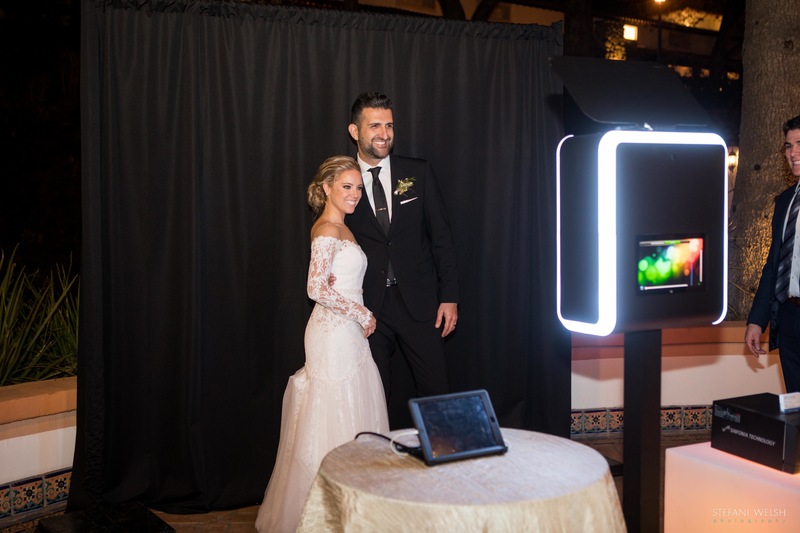 Photo booth provided by Capture Photo Booths. 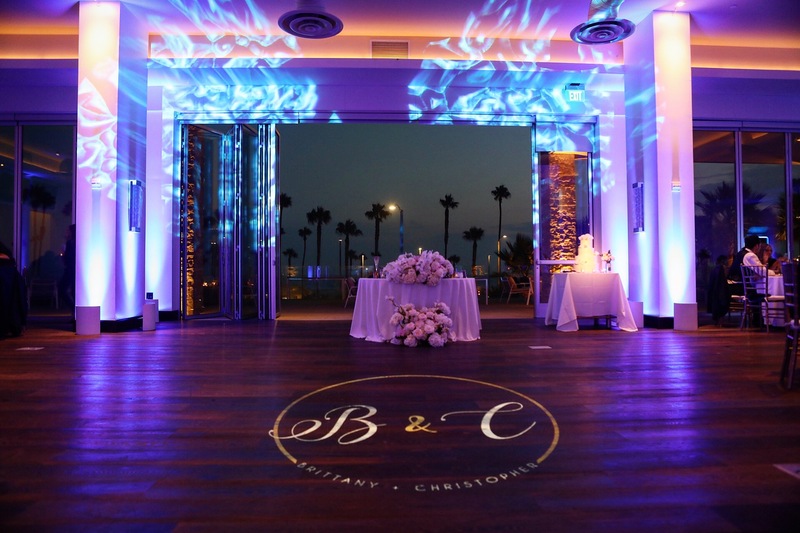 Great working with Samantha from Samantha Scott Events. 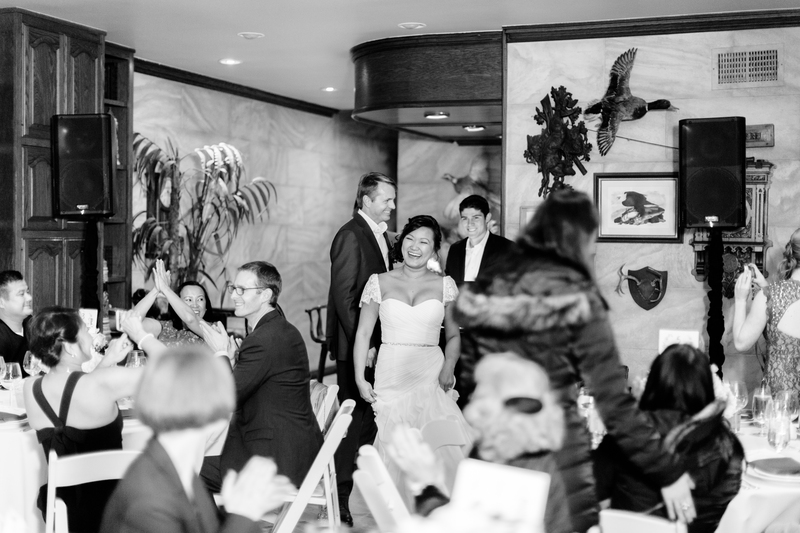 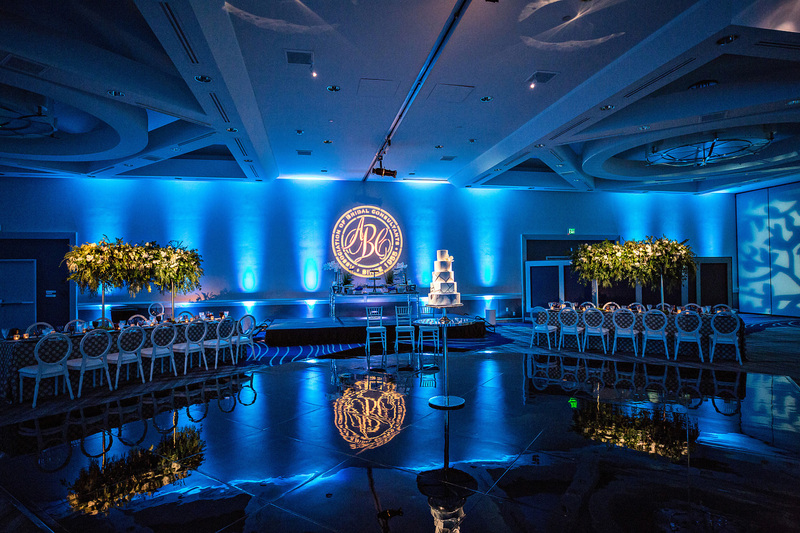 Photo of cake table & rotunda seating area by Alex W Photography. 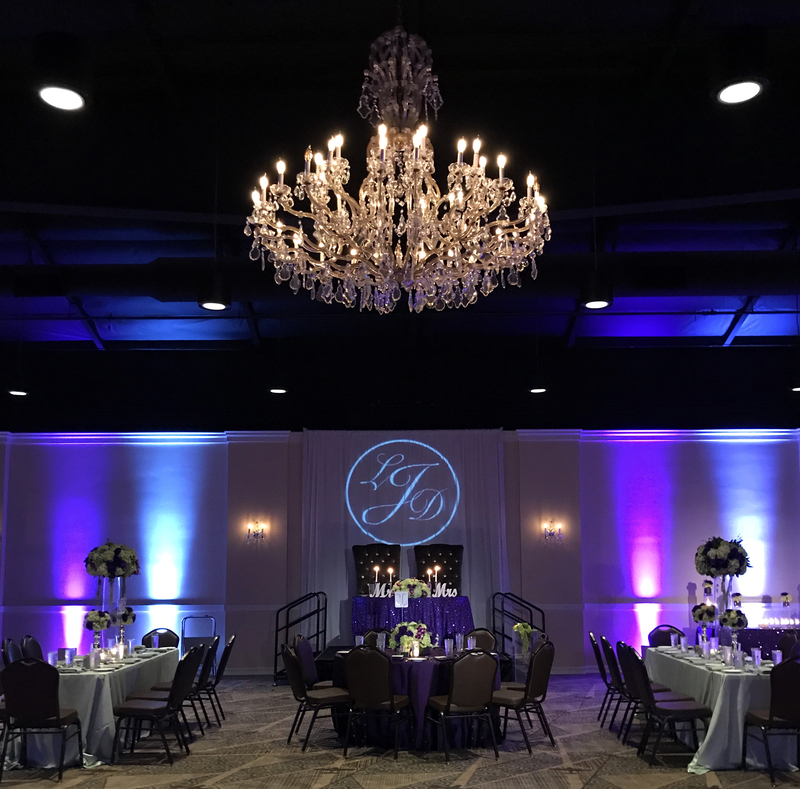 We transformed the ballroom at the Fullerton Marriott this week for their marketing photo shoot. 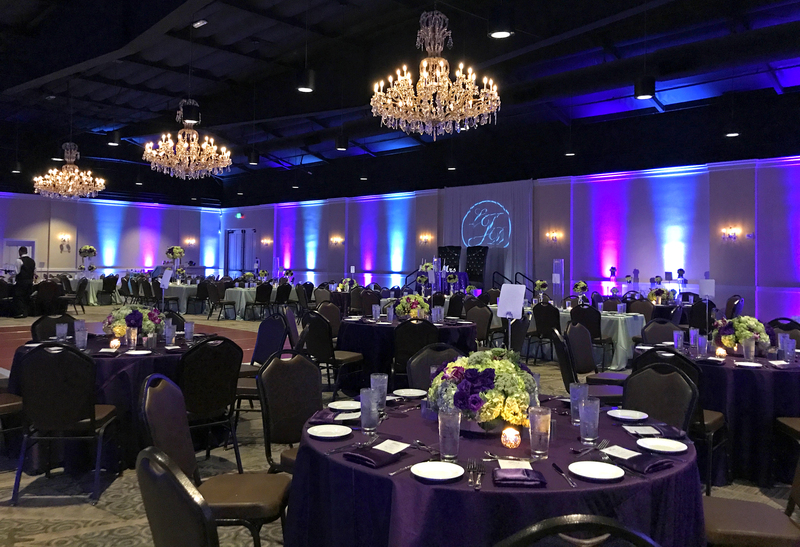 We provided the lighting, pipe & drape and chiavari chairs for a mock wedding set up. 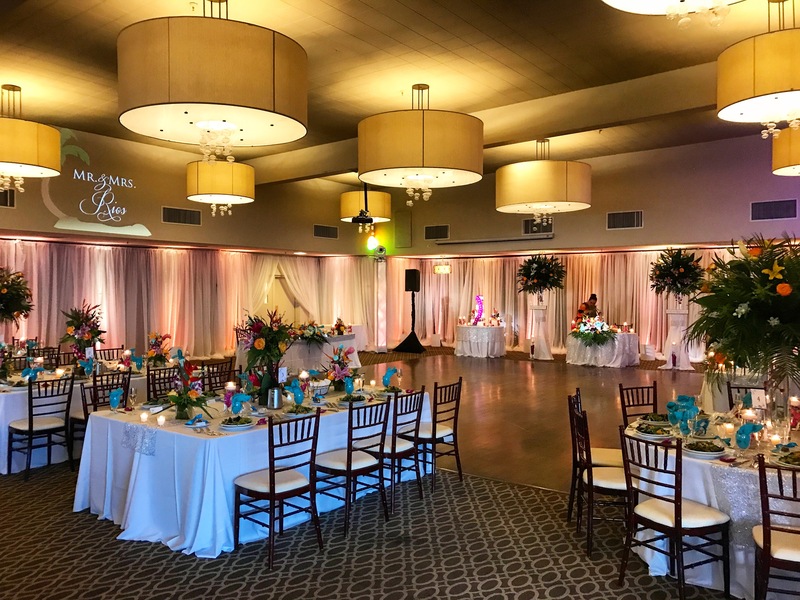 Great working with Blooming Hills Florist who brought in the flowers and with Demetra from SBD Event Designs who created the beautiful sweetheart & cake tables. 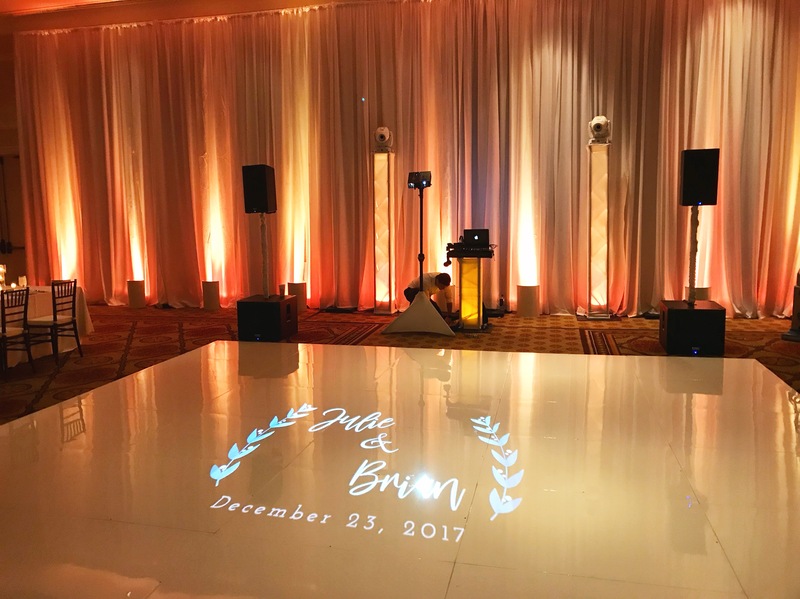 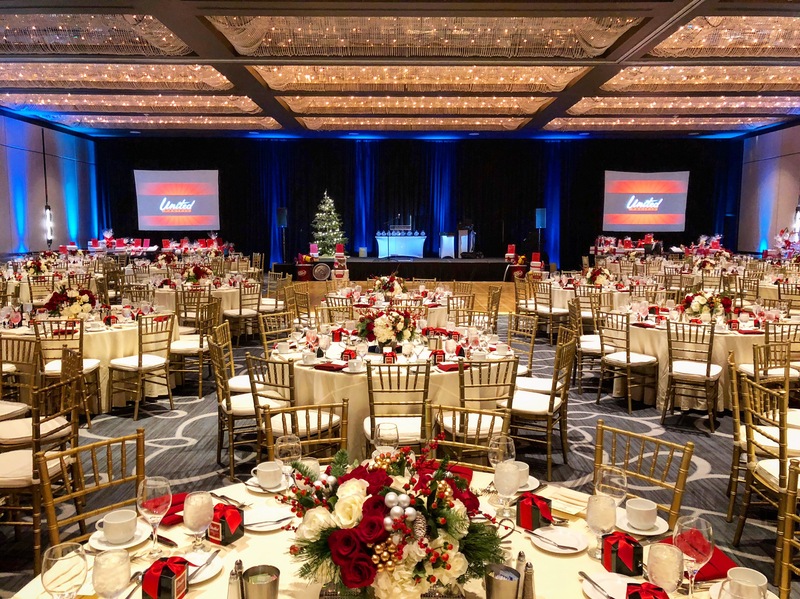 After the wedding shoot, we turned the room around and created a mock corporate event set up with our black drape, speakers, custom gobo, uplights and stage wash for the corporate shoot the next day. 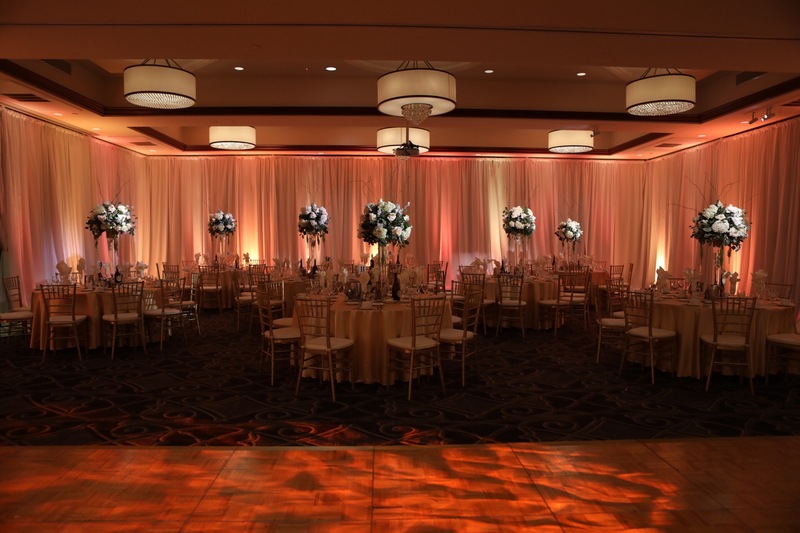 We transformed a ballroom at the DoubleTree Hotel in Norwalk for a photo shoot. 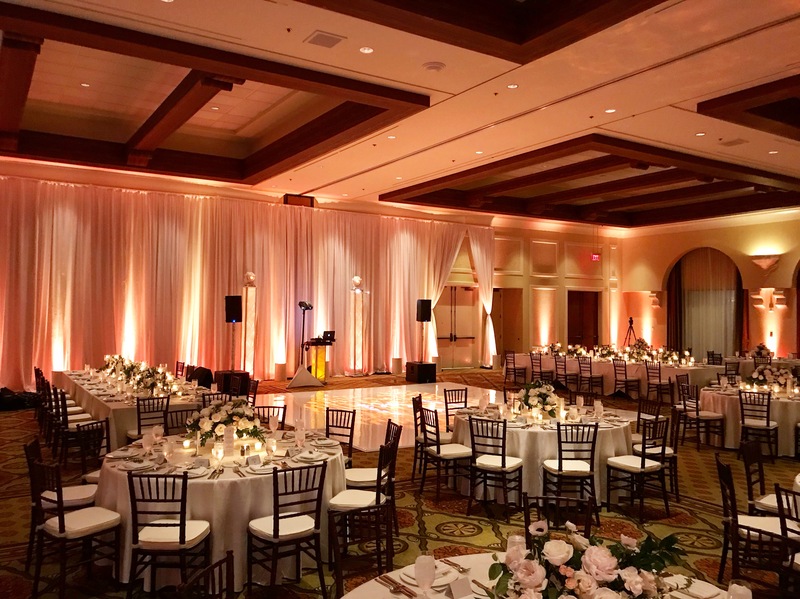 We provided the Lighting, Pipe & Drape and Chiavari Chairs for the mock wedding reception set up. 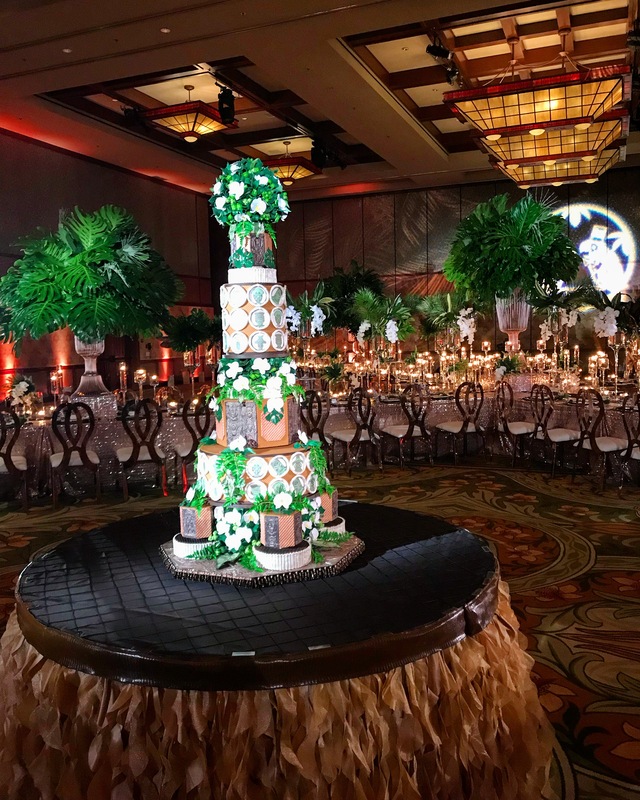 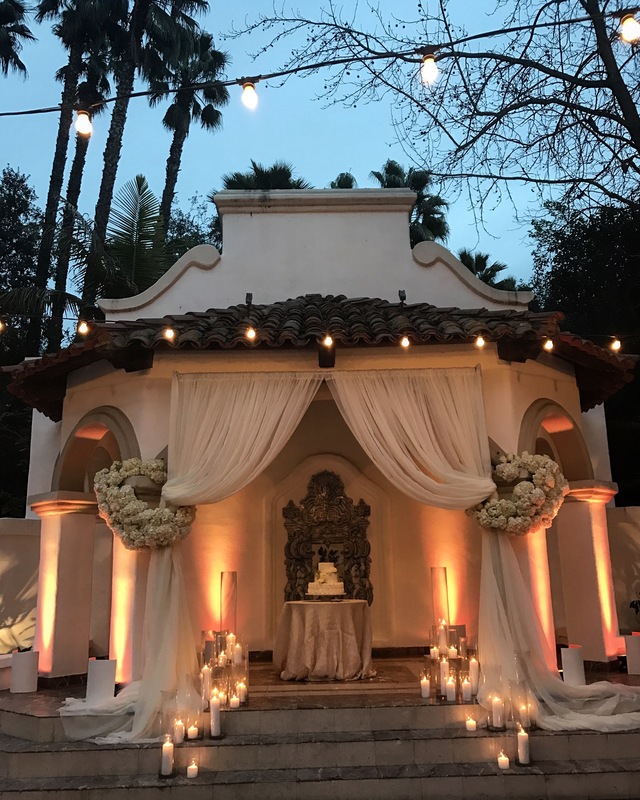 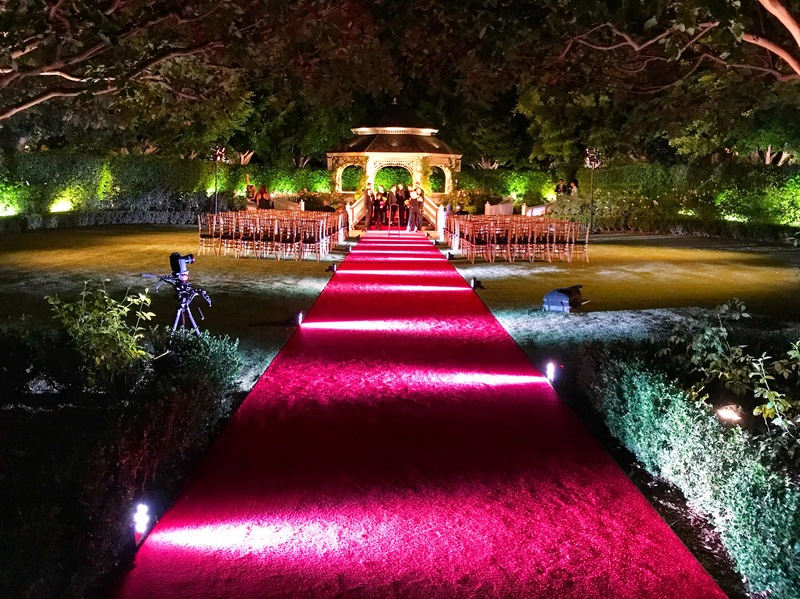 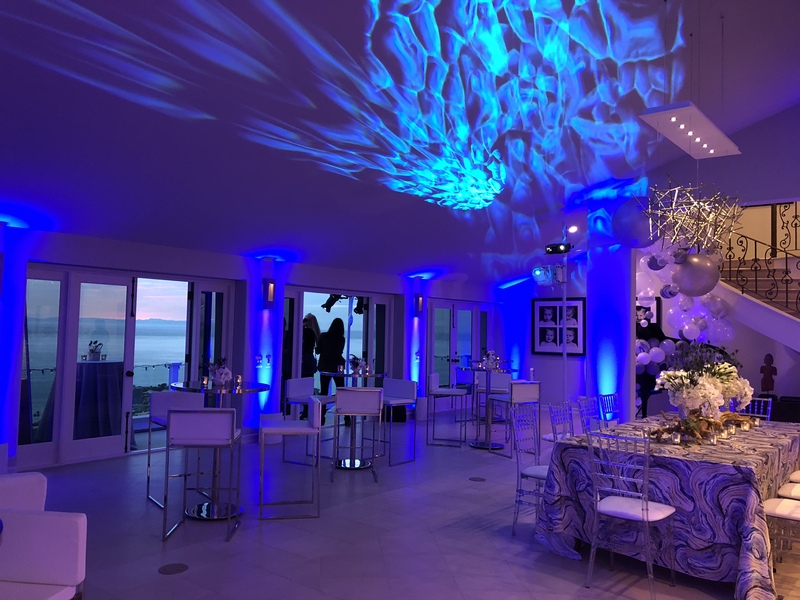 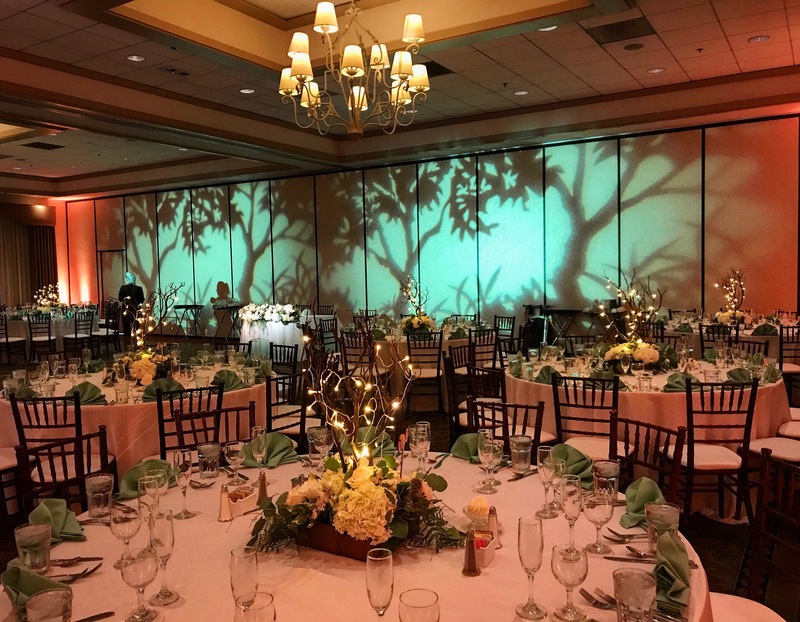 The lighting included pin spotting the centerpieces and the sweetheart table, pattern gobos, a custom gobo, and uplighting.